Bicycles should fit the rider. We do not sell you a bicycle simply because we have it in stock. If it is not the correct size, we will not sell it to you.If we do not have one in stock, will order the correct size to make sure that you are riding the appropriate bicycle. Recreational bikes should have a Quick fit (which is included in the purchase of a bicycle). 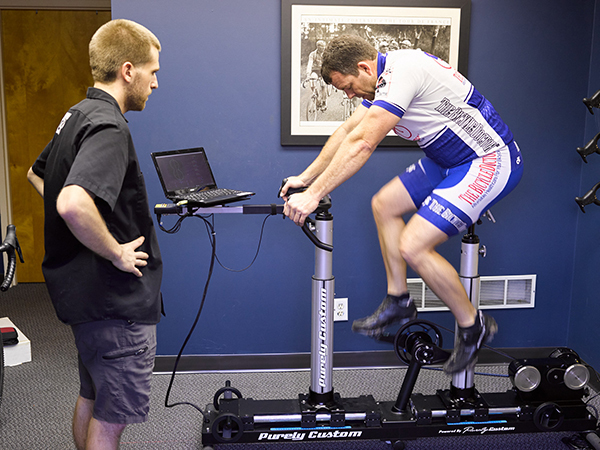 We also offer fitting services for serious riders, or those interested in a more precise fit. The Standard fit is best for someone looking to maximize their comfort and efficiency.